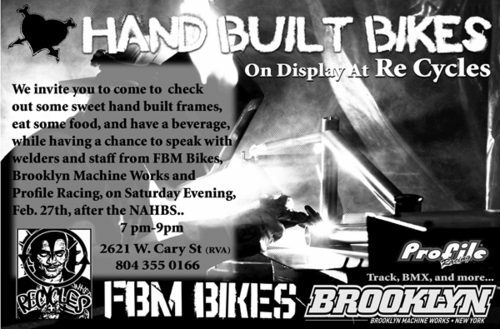 Saturday after the NAHBS, Richmond’s own Re-Cycles will be hosting a party at their storefront. Track, BMX and more; including bikes from FBM and BMW. Check it out!